This news is about a week old now, and I simply forgot to post and update on my blog concerning said news. It's official - Rebuild of Evangelion 2.22: You Can [Not] Advance will be released in the US on March 29, 2011. For those confused as to what the difference between the 2.0 and 2.22 versions of You Can [Not] Advance entail, 2.0 was the theatrical release while 2.22 is the DVD release. Japan never had a DVD release of 2.0, only one of 2.22, which is going to be the same situation when the DVD is released stateside in March. All of this information comes from Evageeks.org (a site which I would highly recommend to Evangelion fans). It seems this was announced back in early July of this year, but apparently the news snuck past me. Bandai has announced a US release of Turn A Gundam, which is fantastic news as far as I'm concerned. Turn A Gundam is by far my favorite alternate universe Gundam series to date and I can't wait to have my very own copy of the DVD release. There has been no news as of yet on the English dub voice actors. I imagine that Bandai will release the series in two parts via their Anime Legends collections, as the case will also be with the upcoming 2011 release of Mobile Suit Gundam. Bandai has released series such as Zeta Gundam, Gundam SEED/SEED Destiny, and Gundam 00 on seperate discs containing approximately four to eight episodes at a time and then later going back to re-release the series in the Anime Legends collections, but I imagine that, with Turn A Gundam being a now 10+ year-old series that Bandai will release it in as few seperate collections for the sake of convenience for Gundam fans who have been waiting a long time for Turn A Gundam's US release. To be honest, I never expected Turn A Gundam to see a stateside release, but this gives me new hope that After War Gundam X and ZZ Gundam might someday also see US release. Being one of the most popular anime series released in the past decade, Death Note was a series that had lingered in the back of my mind for quite some time. I debated on whether or not I really wanted to watch it all that much, presuming it to be aimed more so at goth and emo teens who watched Death Note as their only anime, and I expected minimal plot with a massive body count by the end of the show. 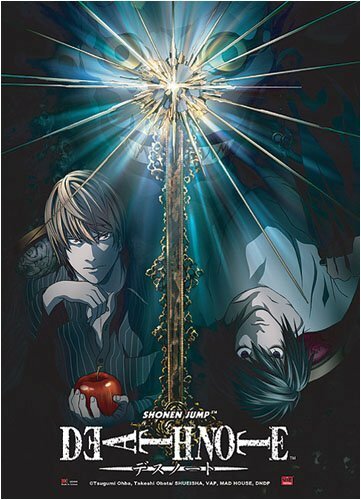 Based on much of the promotional material, it's a shame that Death Note sells itself as such a shallow series because, in reality, it's quite deep and engaging. Initially, I intended to complete this review without including any major spoilers. However, due to the nature of Death Note and the events that unfold therein, I will keep the spoilers to a minimum for the majority of this review (though there will be a few minor spoilers throughout) while delving deep into major spoilers for one single section (which I will denote via a spoiler warning). The introductory episode follows the same basic pattern of many other shows of its kind, providing the necessary basic information for viewers to understand the events in context but balancing this with enough suspense and intrigue to keep their attention. A few episodes thereafter, the series speeds forth with bullet train-like pacing, only to settle back to a normal solid pace within the following episode or so. There are only a handful of instances like this and the pacing of the series is relatively consistent overall. Death Note is split into three major story arcs with the first arguably being the best. It is here that viewers are introduced to the primary characters of Light Yagami and L, as well as the secondary characters who will play important roles throughout the remainder of the series. Light is a high school student who ranks at the top of his class and is rather popular with the ladies, but has grown bored of the same routine. Ryuk, a Shinigami (God of death), has also grown bored with the lack of activity within his home realm and decides to drop a Death Note into the human world, which is subsequently picked up by Light. The specifics of the Death Note are explained to Light by Ryuk (what information is required to kill a person, how long before said person's death, how much control the user of a Death Note has over their victims, etc.) and Light proceeds to kill off criminals in the Tokyo area, in order to create a new world in which he believes he will be akin to a God. The public begins tying all of Light's similar yet secretive killings together and dubs him 'Kira'. A world-renowned investigator named L catches wind of 'Kira' and the killings and - after a short test aimed at 'Kira'/Light - deduces that the killer must be located somewhere within the Tokyo area, have a daily schedule similar to that of a high school or college student, and have some access to police information (as Light's father is the chief of police). From there, things become a wildly entertaining game of wits between Light and L as each constantly tries to one-up the other. 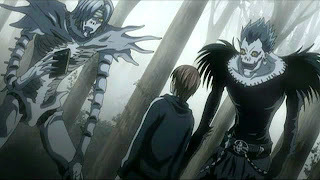 Light keeps killing criminals while changing his schedule of carrying out the killings, and even relies on Ryuk to keep him informed of anyone spying in on him. L, however, finds himself in a tight situation, as the police have a difficult time trusting his judgment when L will not appear in person nor reveal his true identity to them. While the first story arc focuses primarily on Light and his ideals of a new world governed by an absolute justice, the second story arc is more so focused on L and the methods in which he attempts to solve the Kira case. 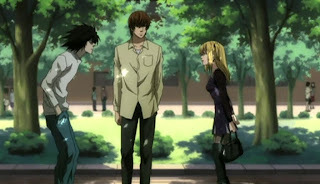 L physically appears before Light, Misa, and the remaining members of the police force (though he is careful not to reveal his name) and asks Light to team up with him in order to take down Kira, whose identity has now shifted to a powerful corporation known as Yotsuba. With both Light and Misa's memories as Kira gone due to a certain series of events, L diverts his attention to Yotsuba, and he and Light work on deducing which member of Yotsuba is now Kira. While this second story arc is still entertaining and well-thought out, it is noticeably slower than the first story arc in terms of pacing. A large portion of this is due to how much background information is explored during this portion of the show, both in regards to Light and L as well as the Shinigami and the rules within the Death Note. Following L's death at the hands of the Shinigami Rem (who did so to extend Misa's life), the series jumps ahead roughly five years and explores a world in which Light plays both the role of Kira and L, continuing to lead the investigation while also killing off criminals. However, two students at an orphanage set up by Watari are contacted and informed of L's death, and a decision must be made to determine who will take over L's role. Following a confliction of interests, Mello storms off the property of the orphanage and Near (now dubbed 'N') takes on L's mantle. When the two finally contact 'Kira', they catch him in a tight predicament that threatens the safety of those closest to Light, as well as the entire 'Kira' control Light wields over Tokyo. Though Light still runs a myriad of potential outcomes through his head before taking any action (as is his nature by this point), the final story arc is rather bland when compared to the previous two. Assuming viewers have been paying the slightest bit of attention up to the point of the third story arc, it won't be particularly difficult for them to predict the events that unfold. Light and the members of his task force remain largely the same, and Near serves as a fitting replacement for L, carrying similar mannerisms and deductive reasoning skills. The characters who are new to the story are either left almost entirely unexplored (N's SPK task force members and Mikami) or don't seem quite as believable as in the previous two segments (Takada and Mello) due to their relatively minor role in the grand scheme of things. However, my biggest complaint with the third and final portion of Death Note is its pacing. Things take seemingly forever to get going, even though Near and Mello have arrived on the scene to shake things up for Light's plans. Once the action does pick up, it snowballs, building at a consistent pace until the series finale. That's not to say that there isn't important information revealed to viewers during this time in the story, but it could have been balanced with action sequences as the formula prior to that point had done. The last two episodes, which could easily be viewed as a two-part finale, are very predictable presuming viewers have picked up on the storytelling patterns laid out by the series. 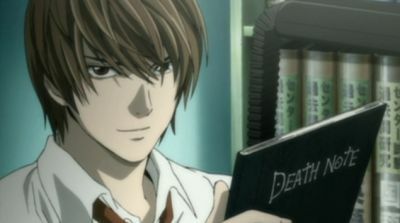 But just because it is predictable doesn't mean the conclusion is at all bad - in fact, it's very much befitting of the story that is Death Note. In regards to the characters, everyone has his or her role that will play out before the conclusion of the series. While Light and L are the major focus of the story, Misa, the police force members, the members of Yotsuba, and the members of the SPK all play instrumental roles in either trying to aid or stop Kira. It’s only in the last story arc that some of the secondary and tertiary characters seem to have somewhat of a forced inclusion to the story. While some might find Misa to be a bit annoying, I found her bringing an interesting dynamic to the L vs. Light scenario, with her desire to help Kira and provide him with invaluable resources but at the same time presenting the potential to inadvertently foil Light’s plans. Everyone will have their own opinion on who is right and who is wrong in the series. Personally, I’m more a fan of L than I am of Light, due to his quirky mannerisms and consistent ability to surprise me as a viewer with how quickly he runs a number of possibilities through his head. However, despite the fact that he uses the Death Note to kill countless people, Light’s strong sense of Justice and incredibly clever nature makes it very difficult for me to dislike him. On the contrary, Light is an incredibly engaging character who offsets L perfectly. The soundtrack is heavy on light electric and acoustic guitar sounds, as well as synthesizer and keyboard pieces. While the soundtrack has a very original sound to it and is very much fitting to the events of the series, many pieces begin to sound the same after a while and some more variation might have been in the best interest of composers Yoshihisa Hirano and Hideki Taniuchi. Every once in a while, however, things are mixed up with the inclusion of chime and organ-heavy pieces accompanied by a choir singing in Latin. The level of detail in the animation is to be greatly commended. However, the constant drab grey and black in both the background and foreground elements give the implication that the series is meant to be a much darker nature than it actually is as well as make things difficult to see at times. That's not to say that the story is one of happiness and sunshine, but the series as a whole is more about a carefully calculated power struggle between Light and L than it is about death and depression. Both the Japanese and English voice actors do a phenomenal job overall, so which version viewers choose to watch will be completely up to personal preference. I was a bit skeptical when I heard that Brad Swaile, longtime voice of Amuro Ray in the dub of the Mobile Suit Gundam series, would be voicing Light. As it turns out, Swaile can play a dark genius in an absolutely spellbinding manner. Alessandro Juliani captures all of L's quirks and mannerisms spot-on, and Brian Drummond provides a fitting voice for the ever-entertaining Ryuk. Despite my complaints with the third story arc dragging things down, the series as a whole is quite solid and provides a very original story with an engaging plot and some incredibly memorable characters. This is a series that is not for casual viewers, as they need to pay a lot of attention in order to follow the story or try and guess what will happen next. But that is one of the great things about Death Note – it will grab viewers’ attention and rarely let go as they are thrust into the conflict between Light Yagami and L. Death Note is not only one of the best mainstreamed anime in recent years, but one of the best mainstreamed anime of all time and is very much deserving of all the praise it has received over the years. It may fall shy of perfection, but it’s one series that every anime fan should give a look into.